Enjoy Yakiniku leisurely in the"Greening Area" in the middle of Toyosu. The interior of our Toyosu restaurant has been designed to present the scene of myriads of wood pieces which are suspended from the ceiling and are gradually disappearing, in the manner of leaves fluttering in the air. With the restaurant facing the "Greening Area", the view from its glass windows is liberating and relaxing, offering a welcome space for adults. 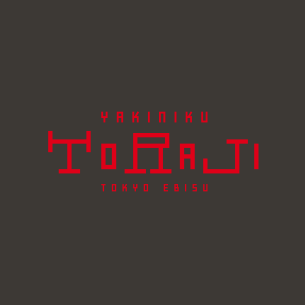 We look forward to the pleasure of welcoming you to enjoy TORAJI's pride, the carefully-selected Yokiniku to your heart's content and do so in an atmosphere which will make you think that you were overseas.